Walk down North Jefferson Street in the historic district of Indiana’s “Lime City” and it’s easy to become lost in time. Huntington earned its nickname because at one time it was a center of limestone production, and the stately homes on Jefferson Street, many of which date back to the 1840s, bear witness to the city’s solid traditions. Not far from this historic district, (0.8 miles to be exact) is another time-honored part of Huntington’s culture, College Park Church. 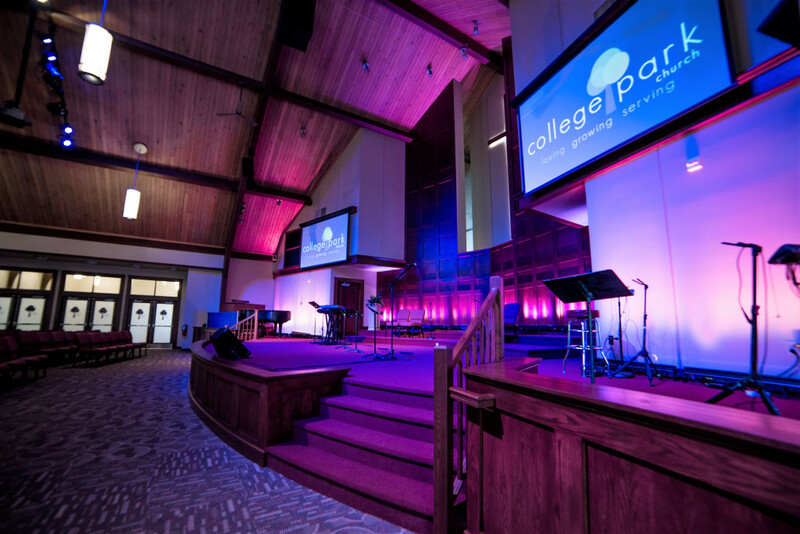 Founded in 1897, the church’s roots in the community run deep, but like the city of Huntington, which hosts a high-tech university and an acclaimed robotic auto parts plant, College Park Church has stepped into the future while continuing to honor its past. 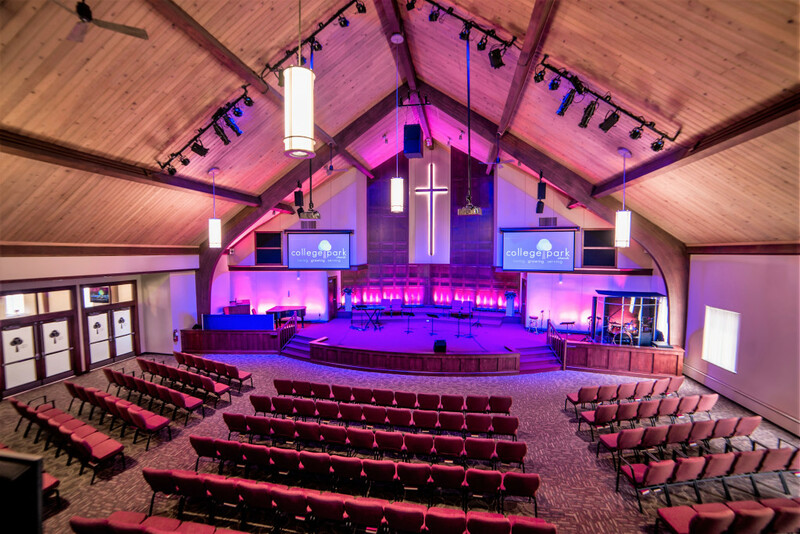 This spirit was at the heart of a recent remodeling project at the church that was done by CSD Group of Fort Wayne Indiana, using LED fixtures from Chauvet as key components of its new lighting system. Although the attractive red brick building that the church occupies is not its original home, the interior had become technologically dated. 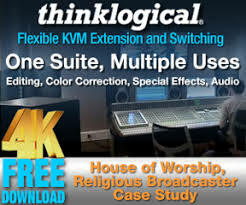 The primary goal of the remodeling, which included new audio and video systems in addition to lighting, was to give the church the flexibility to house traditional and contemporary services. The CSD Group installed four Ovation F-95WW Fresnel fixtures from CHAUVET Professional and 18 COLORband PiX tri color LED battens from CHAUVET DJ. Flown on two diagonally oriented horizontal truss bars with other fixtures on either side of the stage, the Ovation Fresnels deliver a soft flat field wash on the stage-left piano and organ and the stage-right drum set. Washing the instruments accents them during performance. 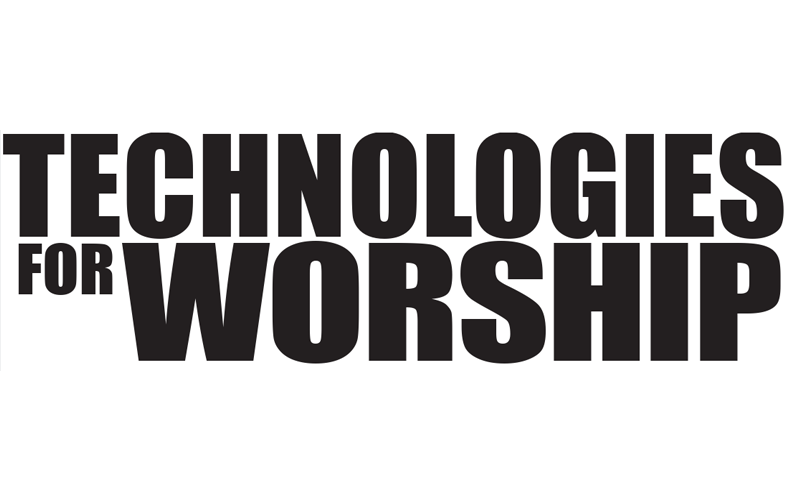 At other times, the church uses the Ovations’ zoom range of 21°-83° to change the coverage area of the wash. The COLORband PiX are positioned on the floor lining the semicircular wall behind the stage and the two diagonal walls to either side of it. 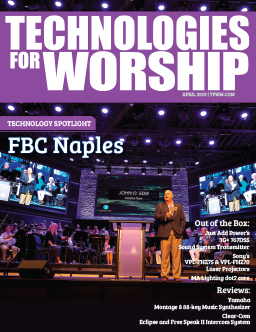 Uplighting the three walls, the RGB linear fixtures add dimensionality to the worship area. When changing colors, they also pump up the visual energy level for contemporary services.